I'm Here. I'm Queer. What the Hell do I read? : Why the Gay Teen on "Glee" drives me nuts... and makes me want to sing at the same time. Why the Gay Teen on "Glee" drives me nuts... and makes me want to sing at the same time. He has a crush on a straight guy. He gives the lady he wants to set his dad up with a makeover. And those scenes with his Dad, who's a bit lost about having a gay son - but bottom line, loves Kurt and accepts him. Those scenes make me so happy it almost hurts. The character Kurt is this frustrating mix of stereotype and not-stereotype, and I guess it's really a reflection of how few gay teen characters there are on TV that I care so much about how this one is representing for us. And that's really the crux of it, isn't it? If you had 20 gay teen characters on major network shows during a TV season, it wouldn't be a big deal if one was a bit swishy. It wouldn't feel like that one character had to represent for ALL gay people, right? But Kurt Hummel seems to be the only out gay teen on my TV, and so I cringe at each new exclamation of "fabulous!" And it's not that I don't love my effeminate gay brothers and butch sisters - but I'm sensitive about the stereotypes. And I'm uncomfortable that one of the few representations of gay teens on TV is feeding into that stereotype. And yet, people are falling in love with Kurt. Moisturizer regimen and all. And really, playing a complex, three-dimensional queer character - even if some of those dimensions are what middle America expects - is progress. Especially because some of the dimensions Chris (and the writers) add to it aren't cliche gay - they're just "Kurt." And those are my favorite moments. And did I mention, the boy can sing? Last week's Dionne Warwick hit "A House Is Not A Home" was Bee Gees-high, and well... beautiful. I downloaded it, and I've been playing it. And guess what? I found myself singing along. What do you think of the gay teen character (Kurt Hummel) on Glee? The show where Kurt came out to Mercedes made me cheer, but at the same time, I was aggravated that his dad took his car away because he found Kurt's tiara collection. The episode where he came out to his dad broke my heart, but I was so glad he finally had the courage to do it. I was also heartbroken the episode he threw the audition for Defying Gravity because he was worried about the harassing phone call his Dad got. It made me wonder how many GLBTQ kids give things up to protect their family members. I daresay it's probably a lot. I also wish we could see Rachel's dads. She refers to her "two gay dads" often enough, and we do see a few other parents. It would be a nice confirmation of gay families. His dad, however, is one of my favorite characters on TV. Ever. Like you say, he really has no idea what to do with his son who is so different from him - but he loves Kurt fiercely. He went to the principal and threatened the school with sexual discrimination if Kurt couldn't sing a love ballad! Beautiful. We definitely need more gay teens on TV so the burden of representation will be lifted from Kurt. great point about Rachel's dads! I wanna see them, too! And Angela, I totally forgot about that moment when he called himself an "honorary girl." So glad you both "got" what drives me nuts... and at the same time why I'm so addicted to the show! I would also love to see the gay dads - and then I'd like to see a lesbian character on the show. If we've got Kurt, a boyfriend for him, and then Rachel's dads, it's high time that a gay woman shows up (Brittany and Santana don't count, since it seems pretty clear that anything Santana does is just for show for the boys). His relationship with his father is something so special. His dad, a stereotypical guy (owns a body shop, wears all plaid, drinks beer, loves sports) also breaks molds in the fact that he really has no problem with his sons homosexuality. I think that some things in the show can be thrown out (like taking his car away for wearing long sweaters and such) because it's just a show, and there are inconsistencies sometimes (like how Artie for some reason tells Tina how to dress… that is not something I think Arties character would have done, it just fit in the moment). So I throw that out. The fact that on TV there is a Dad loving his gay son, a gay son who might be slightly annoying in all his flamboyancy, but that makes his father’s love all the more wonderful. I agree with Tricia about the two gay dad’s thing. Rachel is the main character, but we really don’t have a back story there. I think Glee is lucky because all the characters have plenty of room for development, which means it can appeal to a lot of different tastes (including the homophobes who may or may not fall in love with Kurt, because despite all the little things he does that are stereotypical or annoying, he is very lovable). You articulated my feelings exactly! I'm in a constant state of wanting to cringe and hug Kurt. Regardless of the cliches and stereotypes, the truth is the kid is completely lovable, and I think the way they're treating his relationship with his dad is incredibly responsible and touching. And I agree with Tricia. I'm dying to meet Rachel's dads! I love GLEE, but in terms of characters, it's consistently a lightweight show where sometimes we see glimmers of something more but mostly, its pretty shallow. If you think about Will too seriously? Emma, in addition to therapy for her OCD, should run screaming from him. If anything, I think Kurt is one of the few characters that has shown real depth, and part of it includes him not always being perfect. I confess, part of me hopes for Kurt's sake that Finn is gay so Kurt can get his happy ending; and I'm psyched to see Kurt have a real relationship, not just the gay bff to mercedes. I cannot wait to see Rachel's dads, especially because, given her wardrobe, neither fits the "fashion fab gay men" stereotype. Yes I agree, equal parts frustration and love. And so true that if there were more gay characters we wouldn't have to worry about him ticking stereotypical boxes, he could just be. I think one of the great things about him is that he gets all the best lines (typically the grown women get the best lines, so it's cool to see a teen and a guy getting the jokes). I just wish he wasn't hopelessly in love with Finn, I don't get why everyone is all over the guy - his face is plastic looking. I've never seen Glee, so I can't really weigh in on characterization. However, since it's so popular and pretty much a mainstream show, wouldn't that partly explain the stereotyping of the character? It seems to be the path taken by major networks when it comes to LGBT characters: the safer and the most non-threatening, the better. I've never seen this show, either, but I've heard it praised by LGBT blogs: The United States of Tara, which features an out gay teen who's also non-stereotypical. He might be a much better role model than the Glee kid. Not sure I mind the stereotype on this show because they're all stereotyped to some extent. Yeah, there are things that bother me - honorary girl - but taken as a whole, he's a great role model for being exactly who you are and not what we all think he should be. Denise touched on something for me: "stereotypical guy". Exactly. It's not just Kurt. Stereotypes run rampant on Glee. But I look past them because there are just these really gorgeous moments - anything where Kurt's dad is trying to relate to him...or those moments when Kurt looks furtively and lovingly at Finn... I'm incredibly uncomfortable with the stereotyping of Kurt...but, at the same time, so thankful that he's on TV. I'm nervous about meeting Rachel's dads and hold the dissenting vote here: I don't think I want to see them at all. Because if the Glee folks stereotype the hell out of them too, I might just have to give up on the show altogether and I don't want to do that. SECRET LIFE OF THE AMERICAN TEENAGER has a gay teen, not a series regular. pretty much a stereotypical bff person; for the first half of the season he said he wouldn't date in high school so they kept him safely asexual. one of the last eps had him have a boyfriend; they danced at a wedding, but fast song not touching each other slow song. I think the issue that I have with Kurt's character is that the writers still really have no idea what they're doing. The biggest thing that I have with it is that in the Madonna episode he claims that amongst the boys he's "the girl of the group", which is inaccurate. Gay men are not women, writers, get with it. Then he's crying to his dad about how he wants to have guy talk with him and that he's a guy. I also dislike how Glee is being marketed, and now Kurt is "the gay character." It's frustrating, because I'm a part of the queer community and I don't want all of us to be lumped in the media with portrayals like this. Is there any way we can get the writers to start using some common sense when they're throwing Kurt in a scene? I completely disagree - I think Kurt is one of the most real gays on television. Aren't we all a combination of things that fit a stereotype and don't fit that stereotype? I know I am. And I know I've been told, when I'm being more effeminate, that I'm buying into stereotypes and that I'm setting back the gay movement or some such crap like that. I think Kurt may be effeminate, but he's also has real feelings and desires, he has depth of character lacking in some of the other characters of Glee, and I think it's he's the best gay character on TV right now. I quite agree with your thoughts about Kurt. I think that the mix of stereotypical/dynamic character traits is part of the show, though...all of the characters are kind of like that. I really liked the Madonna episode, where Kurt got to be more masculine in the Justin Timberlake song. I thought his voice sounded better then than he does when he sings in the falsetto. I heard that Kurt might be getting a love interest...maybe the new character will be a more masculine gay character. I've been thinking about this a lot today. What if the character was not discernible from those around him and yet identified as gay? What would the viewing teens learn from that? That we are just like everyone else? Yes, that would be good. But which kids are the ones getting picked on in school (besides the obese kids noted in a recent study). It's the ones who appear more feminine even if they're not gay or don't know what they are. So does this character help them? Does seeing a more feminine character say to the average teen that these kids have feelings and can be awesome? Does it say that being nice to one does not diminish one's own machismo? And that being mean to one does not increase that same machismo? I don't know if that's the reasoning behind it or if it might be lazy writing, but maybe that's the silver lining. On one hand, I find it annoying that they go to the Fabulous Well so often with Kurt. OTOH, as everybody has mentioned, his relationship with his dad is pretty awesome, when I think about how difficult it was for some of my friends in high school and college--in the Bible Belt in the 80s, no less--to come out to their families, and then to deal with the aftermath, which was often pretty traumatic. I hope that Kurt's relationship with his dad reflects some generational change, since his dad is pretty much in my generation. As far as role models go, I'd like to see a gay teen role model who is like a couple of my gay friends from high school: a smart, shy geek who likes "guy stuff" but isn't comfortable with a lot of straight guys for a number of reasons, not the least of which is the excruciating unrequited crushes... but GLEE wouldn't be the place for that character. FWIW, I think that's why so many of us--gay, straight, male, female, whatever--can relate to Kurt and his crush on Finn. We've all been there, watching our unobtainable, oblivious idol from two seats away. Many of us have felt underappreciated in a group we're passionate about (and I've noticed that among my Facebook friends, anyway, the ones who like the show the most are the Mercedeses and Kurts, or the Arties and Tinas--not the Rachels and Finns). Beyond the overblown fabulosity, Kurt is a very relatable character. For me, I love Kurt. Sure he has stereotypical moments (fashion, singing, hanging with the overweight black girl) but in the end, he's probably the most well rounded character (in a cast of stereotypical characters) that is on the show. He consistently makes me laugh, steals most scenes he's in, and is reminder that you don't HAVE to be blend in to mainstream American to be gay. You can be swishy, fabulous and out and not apologize for it. Sure I'd love to have more gay characters out there that are "mainstream" but the reality is that people who "pass" as straight aren't the ones that are beat up in high school. It's the kids like Kurt that are. And if middle America can fall in love with a character like Kurt, maybe they'll think twice about making fun of the next swishy gay guy they run into and instead try to befriend them. Another factor to keep in mind is that the creator of Glee, Ryan Murphy, is an openly gay guy. I think the context of having a gay man create and write a gay character is very different than having a straight man write a gay character. Finally keep in mind that when Ryan Murphy initially wrote the show, the character of Kurt was not originally in it. The actor Chris Colfer originally auditioned for the role of Artie, but Ryan Murphy fell in love with the actor so much that he specifically cut a character from the show and wrote Kurt into the show for him. The actor himself informed a lot of what and who the character is. In fact the entire plot point where Kurt fights to sing the song Defying Gravity from Wicked was based on a true story which Chris Colfer related to Ryan Murphy, about how his high school drama teacher wouldn't allow him to sing a song because of his gender. I agree with Liz B. that the characters on Glee are mostly pretty one-dimensional. It's all about the singing--the plot and characters are all in service to that. Really, those Cheerios are the biggest stereotype of all. But as long as they can all sing, I'll keep watching. BTW, my favorite gay teen in TV was Justin in Ugly Betty. Still mourning the demise of that show. He wasn't a main character, but when he was on camera, he stole it every time. Well, yes, he had the whole "I love fashion" thing going, but other than that he seemed very real to me. And of course that show was very broad too and didn't usually go in for deep characterization. I agree with Liz B, becomingblurred, Mr. Jackhonky, and so many others, above. I'm pretty devoted to the show, but you wouldn't know it from how I spend the entire time ranting about the writing. Basically the show is inconsistent all over, and anytime you try to peer into the world they've created, all you see are cracks. (What kind of high school is this??) But I love this show! It's so frustrating! One of my many rants is that every single character changes to whatever that particular episode needs, no matter what the other episodes have set up. So you get Artie's random insensitivity; Kurt's identifying as girl, then guy; Will leaving Glee twice within the first three episodes (in spite of having fought so hard for it); etc. Kurt IS the most well-rounded on a show of 2D characters, by virtue of getting those already noted, beloved, richer stories. But they still use him for EVERYTHING gay they can think up. On a personal note, I wish they hadn't chosen to portray Kurt as the kind of guy who would "convert" a straight guy if he could. But that's just part of the larger problem. Glee has put together something REALLY rich and fun, that can go in any number of directions. And episode to episode, it does. I think it is worthwhile to point out that it is the stereotypically gay kids that are the ones that get picked on the most in school, and that seeing characters on TV treat these stereotypical characters with respect could be helpful. However it seems that the *only* gay characters we get on TV now are stereotyped. I never watched Ugly Betty, but I heard there were stereotypes all over the place on that show. And think back to Will & Grace - there was super flamboyant Jack, but Will was extremely fastidious and fashionable and drama-prone himself. I would much rather have a character where being gay is just one part of their character, not something that defines their every action. And to piggy back off of Rita for a moment - man oh man do some of the Glee club logistics drive me nuts, as a former choir kid. They didn't have any other songs prepared by the time for sectionals?! Sure the songs they'd been planning on would have been more polished, but we'd seen them do tons of other songs - and didn't they pull out True Colors one week specifically to be their ballad? Craziness. I just discovered this conversation in response to your post and it’s pretty fascinating. In the context of stereotyping, the show definitely started out with some broad brush strokes. “Gay kid, Aretha, Wheels, Asian…” Sue labels a set of characters in an earlier episode. That said, I believe the emphasis here is on growth and development. On a weekly basis, the students are reminded of the binary typologies they’re supposed to fit into—popular/unpopular, smart/dumb, attractive/frumpy, lead/backup singer, etc. Musically, she’d in many ways fit the stereotype of black backup singer just as Kurt fit his respective stereotype in his feminine falsetto. In the Madonna episode, that came into question as they busted out a new sound together. She took an empowered lead, and his vocals (and look) were arguably more masculine. Now, these challenges to their stereotypical identities did propel the show a bit, but did not change the fact that their characters are largely dictated by said stereotypes. I’d say the “frustrating mix of stereotype and not-stereotype” is more relatable to men and women going through struggles with identity. A gay teen may not fit the stereotypes portrayed in Kurt, but he still faces them in others’ expectations. I see this trend of complicating stereotypes continuing in the next season as Kurt’s love interest (closeted and masculine, perhaps) will certainly provide some contrast to the issues Kurt faces. 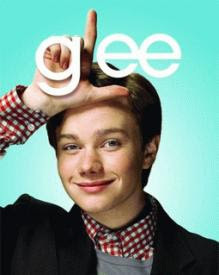 I love Kurt and Glee, and kinda want Chris/Kurt to be my boyfriend, lol. I think he's a good mix of stereotype/non-stereotype just like we all are. Stereotypes exist because they're true; they don't apply to everyone, but they do apply to some, if not most. I never have a problem when a character has stereotypical qualities because we all do, and you're fooling yourself if you think you don't embody any sort of stereotype. With the "honorary girl" comment, I found it funny and kinda true. I say that all the time about myself. No, not all gay men equal honorary girl, but some do. It has to do with your interests (and no, I'm not just talking about the fact that gay men and straight girls both love men) and your attitude. What's the problem with that? And Kurt said it himself; it wasn't some insult hurled at him by the straight guys. If he as a gay man wants to say that about himself (just like I say it about myself), he has a right to do that. I've seen Chris in interviews and he seems very much like Kurt and I think he puts a lot of himself into the character. I've also heard that Ryan Murphy (who I totally didn't know was gay) is very receptive to comments and concerns, so I imagine if Chris found something wrong with Kurt's lines and scenes, he would say something and Ryan would talk it out with him. My main problem is how the GLBT community always seems to latch on to some new gay character and focus on every little thing and cringing when it's not what they like or want to represent the community. I understand it's difficult working toward equality and we're trying to be seen as just like everyone else or whatever, but this is a character on a TV show. He represents himself, not the GLBT community and nor should he represent the community. I just hate how it seems the GLBT community wants to desexualize and straighten up their own community so that they can be seen as normal and we can get the equality we deserve. Let us be who we are, and the rest will follow suit eventually. We shouldn't have to hide ourselves to be accepted. If Kurt is effeminate, so be it; that's who he is, and that's who Chris is (it seems, from what I've seen of him in interviews).